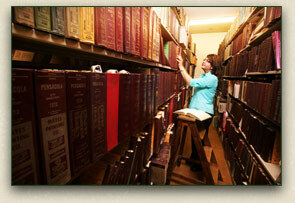 Below are suggested online resources for the estate professional or the genealogical hobbyist. If you know of a good site that needs inclusion, let us know! 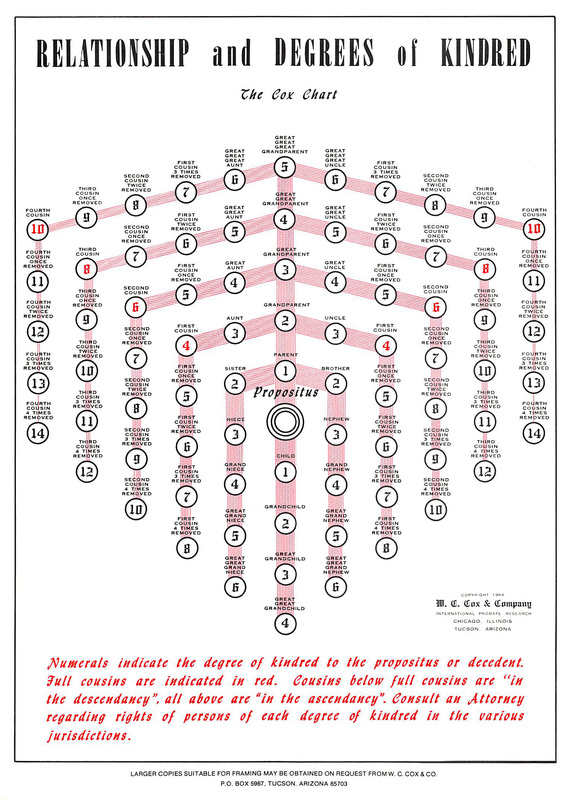 Cox Relationship Chart - A definitive chart of degrees of kindred, available in JPG format or as a 78K Adobe Acrobat file. 'Lectric Law Library - A remarkable compilation of all things legal, served with a hefty dose of eccentric humor. Very entertaining, and at times quite useful. American Law Sources Online - Great gateway to free legal resources for all regions and communities in the United States, Canada, and Mexico. U.S. House of Representatives Law Library - The official House site, with exhaustive access to U.S. federal legislation. Adequate gateways to state and international resources as well. FindLaw - A Yahoo!-style index of legal resources, free of charge. Our link takes you straight to the Estate and Probate section. Lexis-Nexis - Exhaustive, excellent, and expensive. If you are a smaller law firm, however, check into their new research services for smaller businesses and individuals. Martindale-Hubbell Law Directory - The authoritative legal directory. Find legal professionals around the world with a simple search interface. EmpLawyerNet - Great resource for job leads, recruiting, breaking industry news. Searchable job database, opinion columns, and more. National Law Firm Marketing Association - Helpful starting point for those working on client relations, developing a practice, consulting, and general marketing. Ameridex - Commercial site, pay-per-search. Offers searches of death indexes, U.S. population database, military service rolls, and more. Ancestry.com - Allows users to search genealogy and family history records or to build a family tree. Also includes message boards, news, research tools and how-to articles. The Genealogy Home Page - Genealogy research resources including list of surname, family trees, ROOTS-L and other mailing lists, and much more. USGenWeb Project - A daunting cooperative project, with lots of good links for every state, county, and community in the United States. Some localities aren't finished yet, but still a very good resource. Genealogy SiteFinder - Sponsored but free site. Searchable and well-categorized index of over 30,000 genealogy Web sites. Journal of Online Genealogy - This site, although a bit hindered by its sponsor's marketing, is still a good place to dig for software, helpful how-to documents, and more. Yahoo! - While we're at it, let us link you to Yahoo! 's index of genealogy sites. Mailing Lists and Usenet Newsgroups - If you're new to Usenet, be sure to read this introduction first. Then find a list of newsgroups that are up your alley. The Cox Relationship Chart definitively shows the degrees of kindred for relatives as remote as fourth cousins, four times removed. Available in GIF format and as a 78K Adobe Acrobat file.